Daniel Pink has really established himself as one of the top international leadership and workplace gurus. He has explored the importance of empathy and creative thinking in his book ‘A Whole New Mind’ and discovered the science behind what truly motivates people in ‘Drive’. Whilst still enjoying best seller status for his books, his talk entitled ‘The Puzzle Of Motivation’ is one of top 10 most watched TED videos. 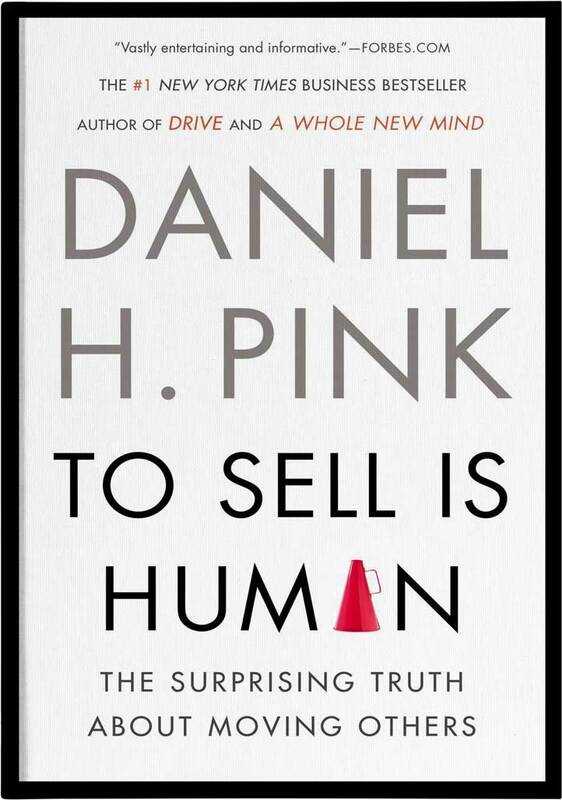 In his new book, To Sell Is Human, Pink investigates the world of sales, taking us on his latest journey through the world of social science research and his counterintuitive insights, exploring why extraverts don’t make the best salespeople, ambiverts do, developing a new suite of practical and inspirational contemporary sales techniques, along with some memorable great stories. Like it or not, Pink says, we are all is sales. Whether we’re pitching to our colleagues or boss on a new idea, negotiating for future funds and resources, persuading people to change, or simply parents and teachers cajoling our kids to study, we spend our days trying to move others. Pink research tells us that 1 in 9 American workers are in ‘traditional sales’ roles (in Australia this is 1 in 10), however the other 8 in 9, for 40% of their time, are in sales too. This is what he calls ‘nonsales selling’ — persuading, influencing and convincing other people to part with resources. Because selling has such a bad reputation (think sleazy, highly predatory and unethical) very few people study sales – certainly not in the highly academic or the prestigious leadership and business circles. Therefore, managers do not treat sales as one of the most important and crucial skills for leaders to learn and master. In the past, the world of sales was one of information asymmetry — the seller always had more information than the buyer, which resulted in a very tacky, old school ABC sales approach of “Always Be Closing”. Now that we have information parity, Pink says we have moved from caveat emptor (buyer beware) to caveat venditor (seller beware!). So the new ABC template Pink shares in sales is “Attunement, Buoyancy & Clarity”. Through his research, Pink is telling us that the world of sales in the last 10 years has totally flipped on its head – thank goodness! With the advance of the Internet and especially the speed and power of social media, the power has shifted to the customer. The great news is that finally we have someone as influential as Pink, selling ‘sales’ as not only an honoury pursuit, but in fact one of the most natural things we do as humans. Although I didn’t love this book as much as ‘Drive’ (it wasn’t as polished and at times not as compelling), I was delighted that the very credible and celebrated Pink has stamped the science and art of selling at the centre of the leadership map and has created a worldwide conversation on why we need to rethink the way we sell. If we get this right, the old school ‘used car’ greedy selling will not only become a relic of the 20th century, but the new relationship based approach to sales, where we build genuine connection and rapport with our clients, while leaving the world a better place through fair and honest selling. This will now more rapidly be established as the new norm in the 21st century. I highly recommend you read this book as it might just transform the way you think and behave around sales, but most importantly it will accelerate this new global Sales revolution.